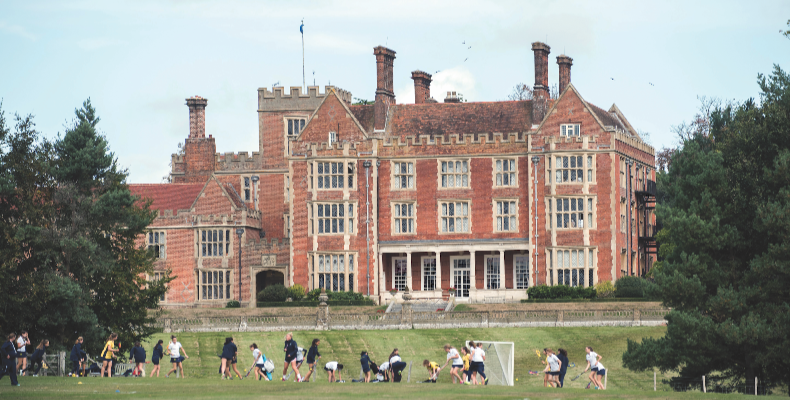 Benenden School were one of the earliest adopters of the SOCS system. Neal George is the school’s assistant head, co-curricular. In this article, he discusses the journey that the school embarked upon when initially adopting SOCS Sport, and then expanding into using SOCS Co-Curricular. Neal explained that to support the Benenden philosophy of ‘A Complete Education’ (ACE), a philosophy that underpins everything the school does, the decision was made to enhance the way the school used SOCS within the ACE programme to maximise the support and development of the girls. Benenden has an impressive co-curricular programme, with over 150 activities to choose from. The school was already using SOCS Sport, the diary functions provided by SOCS and some of the co-curricular functionality when they made the decision to move all the co-curricular educational offerings into SOCS. Phase one aimed to transfer all the clubs and activities into SOCS. Neal said: “During the first phase, we also decided to include all our paid extras offerings. We trained the staff on the use of SOCS during one of our inset days; this included teachers, tutors and visiting specialist teachers and coaches. Once all the data was successfully loaded into SOCS, phase two began. The aim was to get the girls and teaching staff using SOCS as their primary ‘go-to’ modality of managing and monitoring individual timetables. The key to the successful implementation of the full SOCS Co-Curricular module has been careful planning, training and breaking the process into manageable phases. Once the whole school gained access to SOCS, phase three began, with the purpose of exploring how SOCS could be used to provide maximum support to the ACE programme at Benenden. Neal said: “We have recently started to explore the ‘big screen’ option providing us the ability to promote our weekend activities via the poster and picture functionality. We are also very excited to see the latest development of the pupil sign-up function providing the ability for the girls to select individual choices and have SOCS automatically allocate girls to clubs. We can see this benefiting our weekend programme and outreach programmes specifically as well as providing an improved club sign-up process for the school. James Kershaw-Naylor, business development director at SOCS, considers Benenden a true SOCS partner. Being an early adopter of SOCS, the school has been able to benefit and contribute to the evolution of the SOCS system.